Columbia is famous for its wide range of sleek and stylish boots. The company specializes in outdoor footwear, sportswear and accessories, all of which are engineered using the highest quality of materials and the best technology available. Today we take a closer look at an excellent pair of hiking boots from them, the Columbia Newton Ridge Plus Hiking Boots for women. The Columbia Newton Ridge Plus hiking boots for women are one of the newest products from the brand, and going by the looks of it, the boots are totally designed to impress! Available in the classy shades of quarry, cool wave and cordovan, crown jewel. The Newton Ridge Boots are stylish, comfortable and durable. These shades will perfectly complement your hiking gear as well as your casual attire, and add an entirely new definition to it. You can always team it up with a pair of colorful woolen socks to pep up your look further! The boots come in a sporty design, and the leather finish renders a classic and sophisticated look to them. The boots are easy to put on, and marry a perfect combination of practicality, comfort and style. The Women’s Newton Ridge Boots are extremely comfortable. While the boot itself is made from leather and mesh, it comes with a soft techlite midsole cushioning that will help keep your feet warm and dry. The midsole, is made from compression-molded EVA foam which keeps your feet comfortable, irrespective of the weather conditions or the terrain. While the cushioning will make it comfortable for you to walk, it’ll also make it easier for you to put the boots on. And that’s not all! The mesh insole is soft and breathable which further ensures that your feet, don’t suffocate in any way. We were also impressed by the strong yet very stylish lace. Yes! Unlike many other trekking boots, the Newton Ridge come with a lace that is firmly placed at the top in a triangular D-shaped ring. This system is handy and helps when you’re looking to pull your laces tighter for that snug fit. The simple lacing system also ensures that you don’t have to fiddle to adjust them. All you need to do is pull them and they’re good to go! In case you’re worried about using these boots in frosty weather, don’t, you’re totally covered! Being made from the best quality materials, they are balanced and perfectly safe to be used in frost and snow. Many users have tried the boots on frosty streets as well as deeper snows as a part of their hiking trips out on the trail, and almost all of them have lauded the product for its amazing functional capability and convenience. Being made from a combination of leather and mesh, you surely won’t have to worry about water or frosty climate ruining your shoes. The Columbia Newton Ridge Boots are crafted from waterproof, full grain leather (always hard to beat leather as a material for hiking boots!) that has had stain resistant treatment. So, it doesn’t really matter how tough the weather is, the boots perform well will keep you warm all the way round on the trail. The Omnishield technology will further protect your feet when you’re walking on small puddles, rivers or snow. When it comes to support and proper grip, we’d rate this boot pretty high. 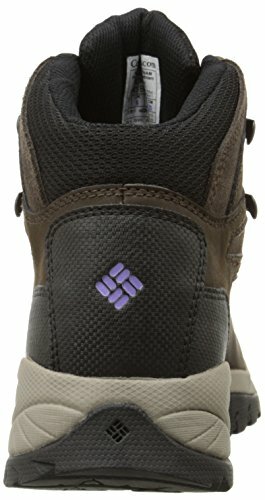 This is primarily because of the rubber outsole, which provides it with the necessary grip and support, even when you’re walking on the most rugged terrain. This rubber outsole has two layers, namely, the lugged outsole and the small, white, rubbery heel that creates a rift between the outsole and the midsole. Owing to this, your feet will feel snug and protected from any outside coldness from snow, ice or any uncomfortable terrain that you’re passing over. The outsole also provides excellent grip on the trail. The boots waterproof construction will keep your feet dry from shallow streams, showers and early morning dew. You can easily tackle the most rugged terrains and the boot will give you ample support in doing so. The boots feature a design and construction that’ll ensure that you experience no discomfort / arch pain during the most difficult hiking trails. They also help to protect your feet via the toe bumper. The construction is such that it won’t cause any pain to the ankles or the arches irrespective of terrain. The hard front (made of leather) and the midsole (made of ethylene vinyl acetate) will, collectively, ensure that your feet get the necessary secure and stable feel while hiking high amid lofty mountains. These boots also fit pretty well, leaving you enough room to wear thick socks if needed. And guess what? Despite your thick socks and the most rugged terrain, it’ll still manage to keep your feet comfortable! So if you’re someone who tends to hike a lot, this is one boot that’ll definitely fit your needs. They’ll keep you warm, comfy and last for several seasons to come. And at the measly price its available in, the product is totally worth your money! 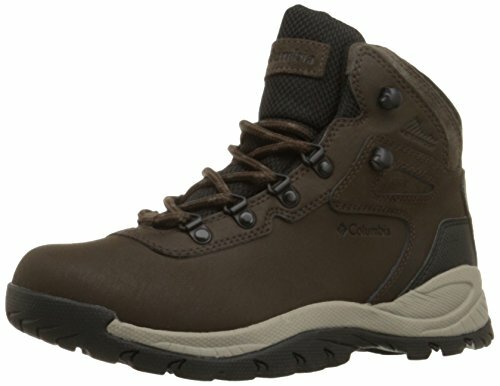 The Columbia Newton Ridge Plus hiking boots retail in below the $100, and you can could find a bargain if you shop around. This is a very wallet friendly price, and we think it is a fair price for the standard of boots you are getting. Click on the image at the top of this review, or any of the links in this review and you will be taken to Amazon to get a live price. The best uses for the Columbia Newton Ridge Plus hiking boots are great for light to medium day hiking and general outdoor use. We don’t think you can expect too much more from them, say like backpacking, beyond that. This isn’t necessarily a bad thing, as the price point is so competitive. These are perfect boots for someone new to hiking who wants to dip their toes in the water, to see how they enjoy it. If it doesn’t work out and you don’t take to it, worst case you’ve got a nice pair of boots you can wear around town! It’s worth noting that their traditional style and classic hiking boots look, will go well with any pair of jeans or cords. Looking at an average across 5 major retailers, 86% of users (1000+ reviews) gave the Columbia Newton Ridge Plus hiking boots 4 stars or more, with over 70% giving 5 stars. Some seriously good scoring in those numbers! Sturdy, durable and affordable, a good bang for your buck! The Columbia Newton Ridge Plus Hiking Boots for women can be a great choice for lady hikers, who are looking for a perfect balance of practicality and style in their hiking boot, without breaking the bank. So, if you’re someone who’s really focused on the comfort, and you’re in the market for a new pair of hiking boots, this is one pair of boots that you need to try. The boots could also be ideal for people who experience arch pain. Users who’ve bought the product reportedly experienced zero arch pain despite trekking with it for days. So this is yet another positive reason to invest in a pair. The Columbia Newton Ridge hiking boots are waterproof, offer excellent grip and are extremely affordable considering the features! So if you’re looking for a pair of sporty waterproof boot, this is an excellent product at the price. 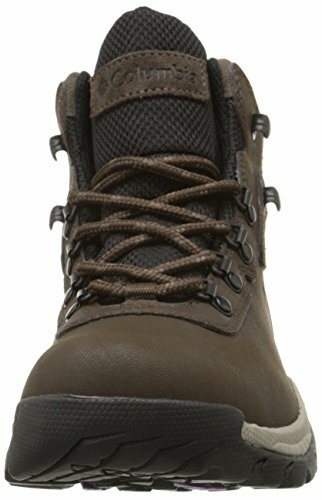 Do you use the Columbia Newton Ridge hiking boots? What is your experience with them?